The United States verbally promised Ecuador that the founder of WikiLeaks, Julian Assange, would not face the death penalty in case of his extradition, ABC News reported, citing an unnamed official with knowledge of the negotiation. As it was noted, Assange was too expensive for Ecuador, and Ecuadorians wanted him out. Ecuadorian Interior Minister Maria Paula Romo noted that the process of moving Assange out of the Ecuadorian Embassy started on March 7, 2018, when the Ecuadorians made their first request to the UK: a letter asking for written assurances that the UK would not give Assange to a country where he could face the death penalty. According to officials from the United States and Ecuador, Ecuador’s direct contact with the United States occurred six months later through the country's ambassador to Germany, Manuel Mejia Dalmau. According to officials, Dalmau sought a private "emergency meeting" in Berlin with the US Ambassador to Germany, Richard Grenell. At that time, Dalmau said that Ecuador was spending between $ 30,000 and $ 35,000 a month to host Assange. The Latin American country stated that since 2012 it has spent $ 10 million on Assange, including medical expenses, lawyer services, food and laundry. The problem faced by Ecuadorians in turning him over to British officials, was that Assange could face the death penalty in the United States, which Ecuador strongly opposes. 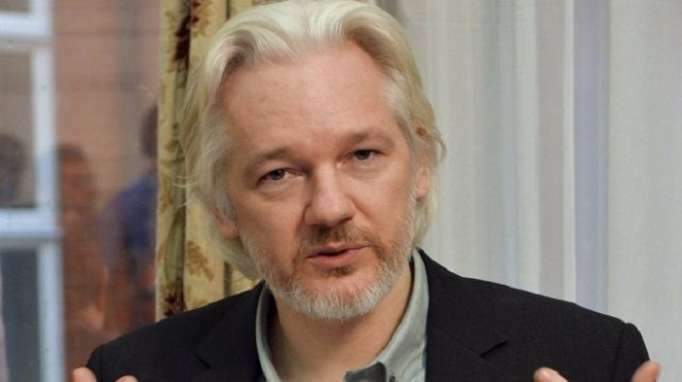 According to a senior US official, during one of the meetings, Dalmau asked if the United States intends to commit itself not to execute Assange. Grenell then contacted the US Department of Justice to see if he could provide assurances that the US government would not seek the death penalty. According to a senior US official, Deputy Attorney General Rod Rosenstein agreed. That enabled Grenell to make the pledge. According to a source in the Ecuadorian government, the agreement between the US and Ecuador was verbal.